All the afro cool dudes will wonder "who is that sassy lady?" when you show up on the 70s dance floor in this womens Discolicious costume. 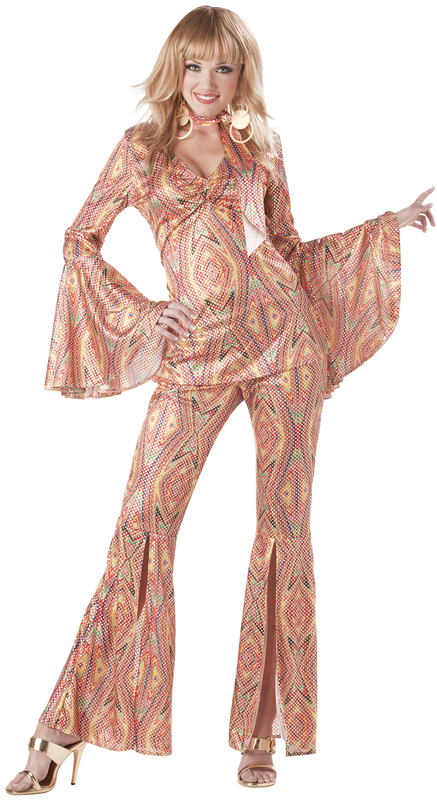 This hot psychedelic printed dress includes large bell sleeves, trousers with a split flare, and a neck scarf. 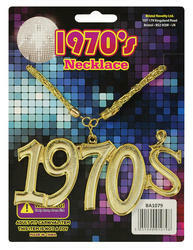 All you need now is to have the DJ play those amazing disco tunes by artists like the Bee Gees, ABBA, and Donna Summer! 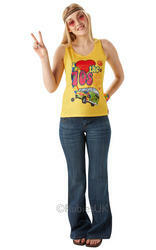 Put on some platforms and enter in seventies fashion at your next Decades or Disco themed fancy dress party.